If working as an elected full-time student representative for three years has taught me anything, it’s this: unless people feel as though they can make a difference, then they’re not going to bother. Across our Scottish campuses, I’ve found that students’ associations are the experts in communicating to students how they can make a difference and why they should bother. You can walk into any students’ association across the country and casually bump into super humans who have childcare responsibilities, three assessment deadlines, a house to look after, a part-time job and have just ‘popped in’ to their students’ association to organise, manage and deliver a charity event. These students organise food banks, they fight for liberation, they chair meetings, they cover news stories and write articles to student magazines, they stand for hours in rain or shine to hand out free tea and coffee, all in the spirit of helping others. The SDGs is one set of goals that will require society as-a-whole to achieve them, not least our super human students. Yet, the global issues they aim to solve can appear so unachievable that it is challenging to communicate to students how their roles in society are crucial in achieving them. So, how can we empower all students to recognise that they truly can make a difference to these global challenges with which we’re presented? The answer to this question is simple: education. Education is the one thing that is relevant to every single student in Scotland, whether they study quantity surveying or medicine or beauty therapy or molecular biology or nursing or fashion. And it is the one thing that can empower students to help to achieve the SDGs within their relevant fields, whether it’s understanding the supply chain of hair dressing products or the challenges that the global poor face in accessing health care. At NUS, we know how important raising awareness of the SDGs is for students in securing a positive future for global society. 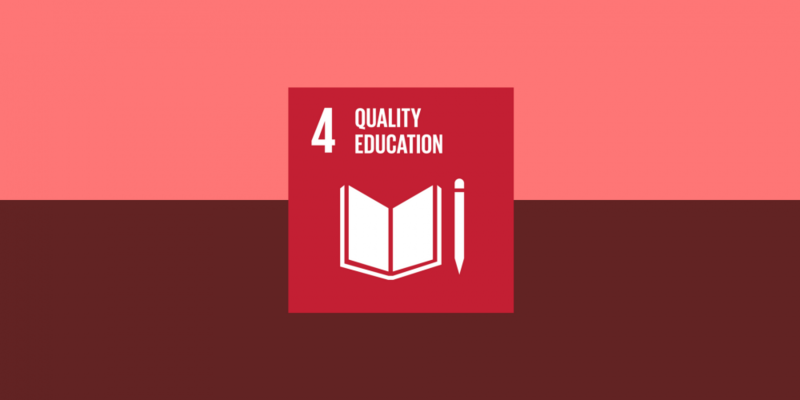 Therefore, to promote this positive initiative, we run a campaign called SDG Teach-In, where we encourage all courses across all our educational institutions to integrate SDGs into their curriculums. We realise that, amongst all the wonderful things students do to help others, the SDGs are one of the most important ways that students can create an equitable future for society both at home and across seas. As I said at the beginning: people need to know the difference they can make. Students are the drivers of this change. They are the leaders of our future, the ones who will drive our political agendas and change how the world around us works. Therefore, I only hope that the number of curriculums that integrate SDGs grows to reflect the urgency that is needed for us to act together in combatting the global challenges that face us. Because we can all make a difference and, when it comes to achieving the SDGs, we all need to bother.